Robert Walpole became a Member of Parliament in 1701, and soon his hard work and talent were recog­nized. 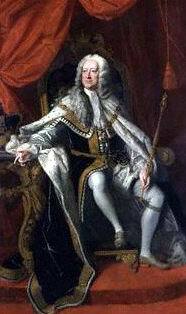 The support of King George I helped him rise to great influence. An experienced politician who had spent 20 years in Parliament, Walpole became the First Lord of the Admiralty and Chancellor of the Exchequer. That made Walpole the king’s chief minister. 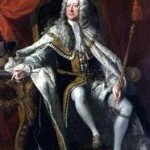 In part because George I could not speak English and in part because both he and his son, King George II, were often in Hanover, which they continued to rule, Wal­pole was able to build up and dominate a government machine. He presided over an informal group of min­isters that became known as the Cabinet, and he con­trolled Parliament. Being in power, Walpole made it his business to dine with each of the chief ministers or spend a night with each of them at their country houses. Having prepared the ground in this way he would call a meet­ing of the efficient Cabinet. When a question had been squared, the formal Cabinet could be summoned. But the king had to be persuaded to take the advice thus carefully prepared. This was not a simple task with any of the Georg­es who reigned Britain in the 18th and 19th centuries. William III had made his own policies. He was pre­pared to adjust himself to English vagaries in the in­terest of his European strategy. Anne made every­body respect her views on policy and on appointments. George I was stupid and ignorant, but he had the in­terest of his native Hanover at heart. When with the Hanoverians the king of England was also the king of Hanover, and Britain lost in for­eign policy some of the advantages of being an island. The British got a frontier in the heart of Europe. George II had an astonishing knowledge of the complexities of European politics. Ministers knew that it was essential to have the support of their royal mas­ter. He was the head of the living constitution, and they had enough sense to know that constitutions are not made but grow. But if the constitution were to be pre­served, ministers had to be brokers of political power who could tell the king what it was possible for him to do. There had to be at the head of affairs a man who was both the “Minister for the King in the House of Commons” and the “Minis­ter for the House of Com­mons in the Cabinet”. The task of such a minister would have been im­possible had not the sessions of Parliament lasted only four or five months in the year and if the work of Parliament had not been limited mainly to the discus­sion of foreign policy and its cost, with major legisla­tion comparatively rare. For the other seven or eight months of the year the government could devote them­selves to diplomacy, patronage, and administration. Walpole has been regarded as Britain’s first Prime Minister, as this job did not exist before him. He helped create it by taking on the major responsibility for get­ting things done in the House of Commons. Being a Whig, Walpole was supported by other Whig Mem­bers of Parliament, and they were usually able to de­feat their political opponents, the Tories. Walpole was accused of corruption, as he used to give well-paid jobs to those who supported him, and as time went on, Walpole grew less popular. 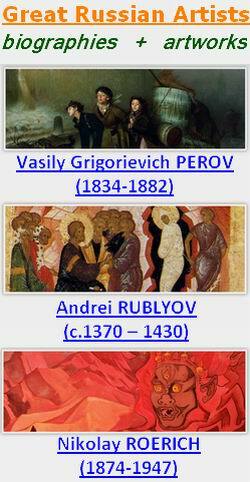 But even in the prime of his career his influence had limits. Walpole was confronted with a brilliant opposi­tion. This was based not on the influence of the Court alone, but also on an appeal to the House of Commons and the new vitality of public opinion nourished by a brilliant political journalism. After 1726 it was led by Bolingbroke and William Pulteney, but Walpole was not a person to be dislodged easily. Opposition in the House of Commons was not easy to organize. The country gentlemen would not always stay on in London to press an attack in the Commons. They had their own divisions. There was a small group of Jacobites who lived in a dream world of pre-1689. There were rugged individualists and urban radicals. There was a group of Hanoverian Tories suspicious of Jacobites, Whigs, and radicals. There was also the in­fluential group of angry young men who said that a worthless politician was forcing a minority policy through the House of Commons by means of cor­ruption. Bolingbroke may have sensed the danger of corrup­tion in an elected assembly and the chasm which might grow between an oligarchy and public opinion. But Bolingbroke did not understand the new political sys­tem which Walpole was fostering — a system in which Parliament would be the most important tool for polit­ical work and a tool which had its cutting edge from the presence in it of ministers of the Crown who had the support of their royal master and of the House of Commons too.